Svetlana & Valeriy from Kazakhstan liked very much Spice Hotel & Spa Belek and it was the right choice. 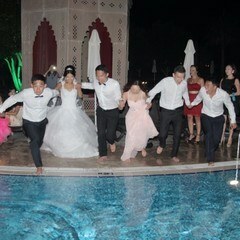 Spice Hotel & Spa which has a beach such as silk is famous about the wedding in Antalya. 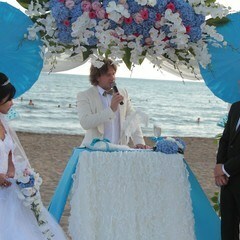 We have prepared a Perfect wedding ceremony on the beach for Svetlana & Valeriy’s wedding in Turkey Antalya. 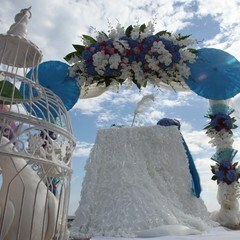 We made an unforgettable wedding ceremony on the beach by taking aerial video shooting with a small helicopter. 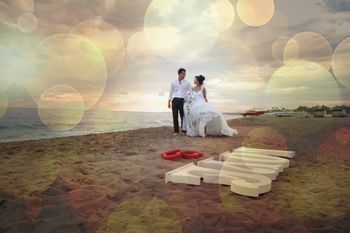 We took great wedding photos on the beach after the wedding ceremony in Turkey Antalya on the Mediterranean coast. 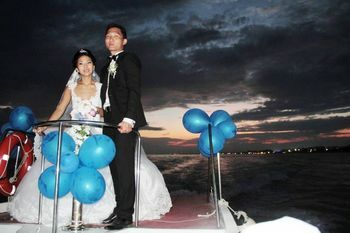 We have prepared a yacht tour for Svetlana & Valeriy on the Perfect water of the Mediterranean for entrance to the wedding from the pier. 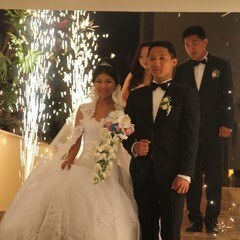 We have prepared an entrance with special light falls and fireworks on the pier. 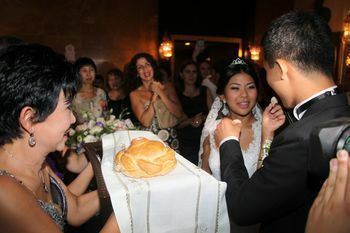 Weddings in Turkey Antalya is always sumptuous and Perfect wedding photos and wedding videos were taken. Svetlana & Valeriy was surprised when passed through the light falls and fireworks on the pier. They enjoyed incredibly. 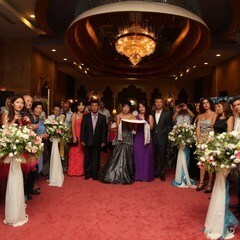 Special Wedding Dinner Reception prepared on the ballroom of Spice Hotel & Spa for Svetlana & Valeriy’s wedding in Antalya. Imported from Holland pink peony, white orchids, and purple hydrangeas have created a very special ambiance in the decoration in the ballroom of Hotel. Special prepared Candy Bar in the foyer was the most special corner of the wedding. Candy Bar includes the Colorful candy, Turkish delights, and chocolates prepared especially with Crystal candlestick and candle holders and colorful fresh flowers. Wedding guests took pictures of the Candy Bar instead of eating the candies. They didn’t want to spoil the visual. Also, the architecture of the Spice Hotel & Spa made the wedding in Turkey unforgettable so our design and materials. 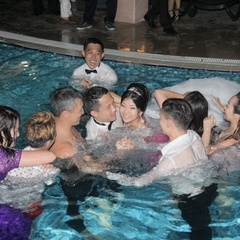 All of our Wedding in Turkey at the Hotel was unforgettable.